Our family company has been trading since 1949, selling and repairing sewing machines and dressforms. We aim to give 110% service and quality, and we're here if you need any help or advice. We repair and service sewing machines in the birmingham area and also supply sewing machines to schools and colleges - please contact us for prices. We have now opened our new retail store - we're 5 minutes from Star City cinema and Costco. 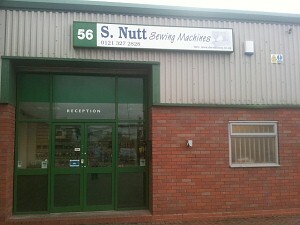 Please pop in for all your sewing needs, from sales to service and repairs. Please click the image to try again.